Making sure we fuel our bodies properly is the KEY to feeling LEANMAZING, but that doesn’t mean we should have to spend hours in the kitchen! All of the Leancipes on the LEANSQUAD are designed to be healthy and tasty, but also very easy to make! You should not have to sacrifice your entire day for cooking, so I try to make recipes that can be prepared and cooked in a reasonable time! To help you with saving time, I want to share a few of my favorite “LeanHacks!” These lean secrets are especially helpful when meal prepping and should save you a little bit of time! Keep your Avo’s LEAN and GREEN! I love avocados. They are full of healthy fats making them a LEANMAZING ingredient in so many dishes! However, avocados can sometimes be a tricky food to work with: They are super soft and delicate and can brown easily if you don’t use it right away. This can be a problem when you are not planning on eating the whole avocado in one sitting - without the proper care, the rest of the avocado can end up going to waste! To prevent this from happening, I have a Leanhack to keep your cut avocados fresher for longer! 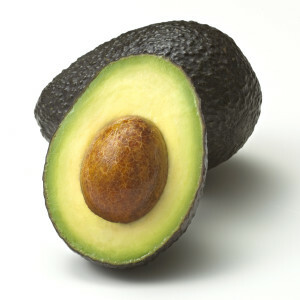 After cutting the avocado in half, use the half without the pit and save the half with the pit. Before placing the avocado back in the fridge, simply run some COLD water over the side you are going to save (one with the pit) and then place it in the fridge, no plastic wrap required! This will keep you avocado much more green than other methods and will add at least 1 extra day of LEANNESS! This is by far the easiest and most effective method I have tried and would recommend it to all my Squadies out there! 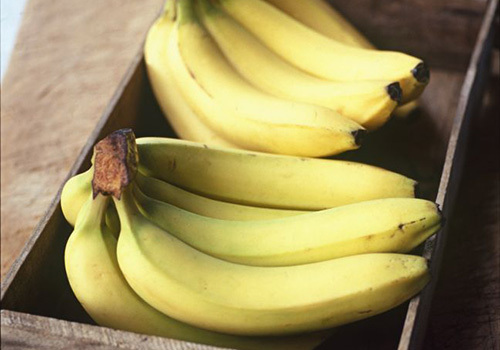 Banana’s are a good addition to many breakfast refuels or snacks such as yogurt, oats and smoothies. Sometimes when I am using bananas, especially when I want the pieces to be bite sized, I like chopping it up into small pieces. Sometimes it can be a hassle to chop a banana into small even pieces because of its shape and texture. I have a simple and quick LeanHack to help you chop up bananas into small even pieces. After peeling a ripe banana, take your pointer finger and push it straight through the centre of the banana (lengthwise). The banana will easily split into 3 even pieces and from there, just place the banana flat on the cutting board and slice the banana and watch how each slice becomes 3 small, bite sized cubes! Smoothies are a great option for an AM refuel or a lean snack! They are also awesome to take on the go, but can sometimes take a little time to put together and clean up, especially when a lot of ingredients are involved. One nice LeanHack for all the busy squadies out there is: On lean prep day, you can prepare your smoothies ahead of time! Take all the ingredients you would regularly put in your smoothie (except for the liquid ingredients such as almond milk, water or yogurt) and place them in a plastic freezer bag (a separate bag for each smoothie), tightly seal it and place in the freezer. Now when you want to make your smoothie, all you have to do is pour all the contents of the bag into the blender, add liquid and blend! You will minimize your prep time and your cleaning time! There you have it Squadies! 3 LEAN Hacks to help make your time in the kitchen easier and quicker!! Look out for future blog posts for yummy and lean meal prepping ideas!